How I wish I could convey the smell, the rich, deep aroma of freshly cut wood. I've written about my meaningful relationship with my woodburning stove previously. I can only say that this winter the relationship has grown deeper and more profound. There is something wonderfully basic about having a store of fuel. Not just having it, but making it, handling it, stacking it, fitting it into the space, then shutting the door, keeping it dry, knowing it's there. 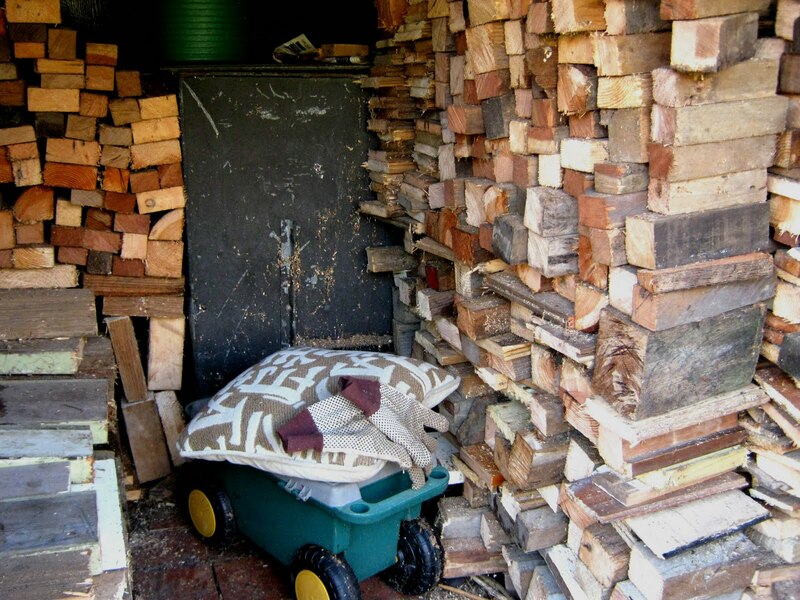 Last year I emptied the woodstore. Last year, the last days of the year when the mercury fell so far in the tube I thought it had vanished. The last days when nine small roach got trapped in the ice of the garden pond and died there. If they'd had the sense to stay at the bottom of the pond they would have been safe. But they didn't. 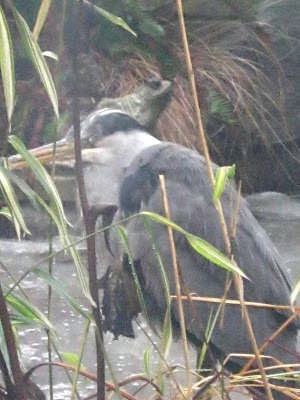 The heron, being fed on tinned sardines, rammed his beak into the ice again and again to get the untinned fish, but couldn't reach them. 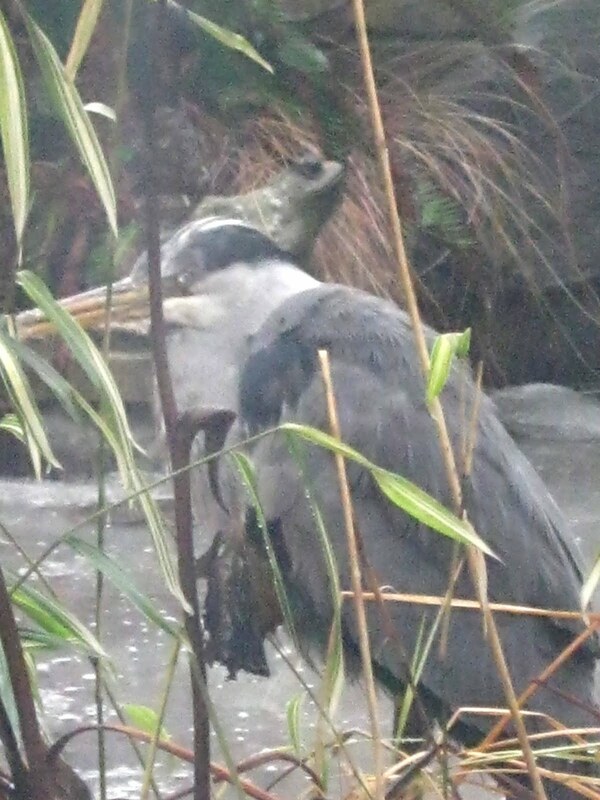 He sat, hunched just outside the window, too dispirited to fly away. The last days when my sons finally arrived safely for Christmas and managed to break two toboggans (but luckily no bones) on the dramatically beautiful slopes of the hills. The days when my guests wrapped themselves in duvets inside the house during the day-time, and when we all sat as close as possible to the wonderful little Danish stove. It felt like all the magic of winter story-land, Snow Queens and Ice Maidens, and only a real, living, flickering fire could quell the cold and darkness of December nights. By the end of the year the woodstore was empty, and I even bought some of those orange nets of logs from the filling station to keep the home fire burning. So at the turn of the year the first task was of replenishment. There was a window of opportunity, a couple of days of dry air and weak sunshine, and I sat in the woodstore, building my mosaic against the months of cold and darkness still to come. A protection as old as time. An achievement so basic it stirs the blood, and appeals to all the senses. Keeping the darkness at bay. There is no greater smell than of woodsmoke. Oh, I can smell those logs from here! I used to have a small fireplace at my condo (and a garage, too, sigh). Wood stoves are wonderful - calling to our ancient love of hearth. Enjoy! What is it they say "Wood warms you twice once when chopping/stacking and once when burning it"!! Love the smell of wood - we used to have a wood burner when we lived in France but sadly no chimney here! Zhoen.... but what about baking bread, old books, fresh coffee, mint sauce, laundry dried outside, a garden after rain? Marigold Jam: So very true. Also gives you backache and gnawing sciatica - and a warm place to sit during the attempted recovery period! Very statisfying, Judith. Though if we had to heat our house to M-in-law's required temperature we'd need a bigger log store than house! Glad everyone got there for Christmas - it was a bit chilly here wasn't it! Jane: I hope M-in-law is appreciating the tropical feel now the temperature's gone into double digits. My Russian visitors thought this place was very like some parts of the Urals. I know that woody scent too. That is one very neat woodshed RR. HHnB: I'm glad you appreciate it. It's far too good to burn. I once photographed a wonderful log-pile in Austria. The owner came out, I thought to tick me off, but was actually delighted that I was so appreciative. She said the log piles showed the fore-thought and industry of the residents. An untidy log-pile was an embarrassment to the village. I've tried to live up to her standards! I used to love cutting and splitting firewood, but the stacking I found a chore. Admittedly, seeing a large woodpile always conferred a feeling of satisfaction and achievement and comfort, as you've conveyed so well. But now I no longer have a woodburner, and the axe and saw sit quietly in retirement out the back somewhere among the accumulated reminders of other lives. PPete: if you still have the axe and saw maybe it would be good to have a woodburner? You probably realise where my wood supplies come from; I think they were destined to be another shed. This just shows that all our modern inventions, while very useful, have robbed us of the satisfaction of doing the basic chores of life ourselves! And while central heating warms a house and a body, it cannot warm the heart the way an old fashioned wood stove can! Molly: so very true. When Nature deals us a bad hand in the form of severe weather we need to react at an equally basic level by trying to prove our sort-of independence. We have had a wood stove for 2 years now, and Jerry has put a lot of work into trying to prevent smoke leaking into the house. It's still leaking, and it makes me sneeze. I want to love it the way you love yours, but so far my relationship to the wood stove is uneasy -- smoky. The one in our Alaska house works fine. 20th Century Woman: oh, I'm sorry if you've got one of those moody versions. Interestingly enough my neighbours have one too, that sulks and belches. My Morso is probably happiest with smokeless fuel, but generally consumes what it's fed. Every Plant has its Time.